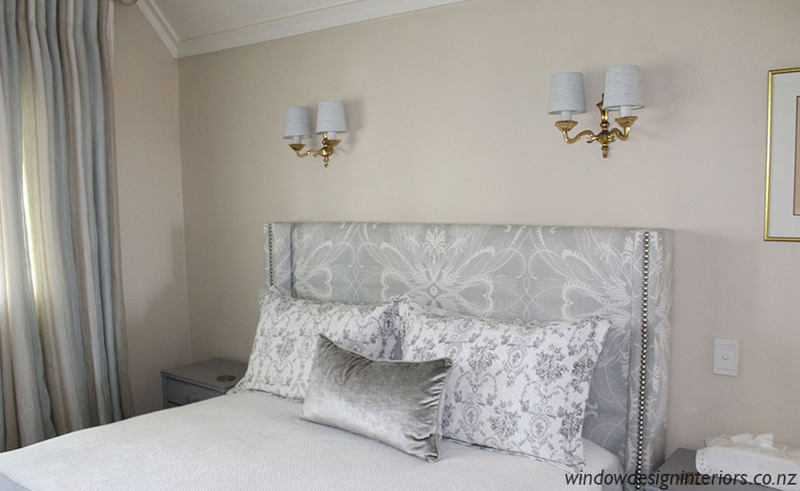 The images below showcase some recent creations by Window Design Interiors. Be inspired by the gorgeous fabrics, colours and textures available in the WDI showroom. Soft Furnishings, including cushions and bedding, are all custom made by the highly skilled team in the WDI workroom. 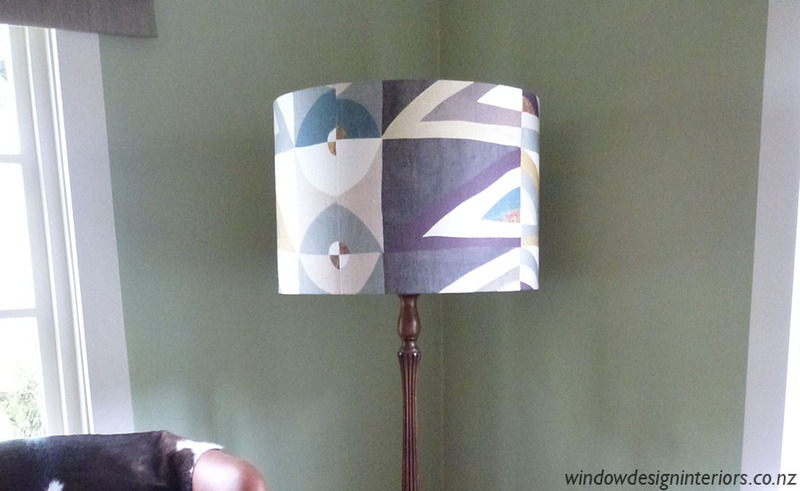 Custom made lampshades in your choice of fabric, style and size are created by the WDI team. 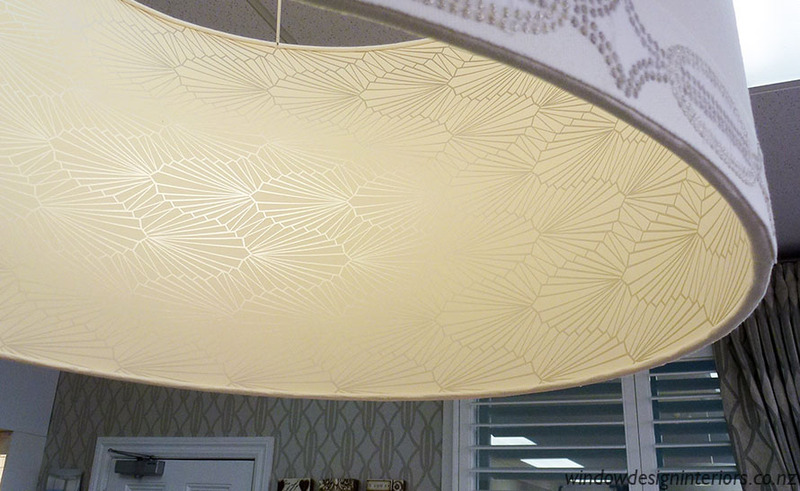 Lampshades are making a comeback. A single ceiling pendant or a group clustered together adds a wonderful bit of fun and drama to a room. A plain fabric on the outside with an amazing splash of colour or a quirky design on the inside is a great way of creating a bit of ‘wow’ to your shade. 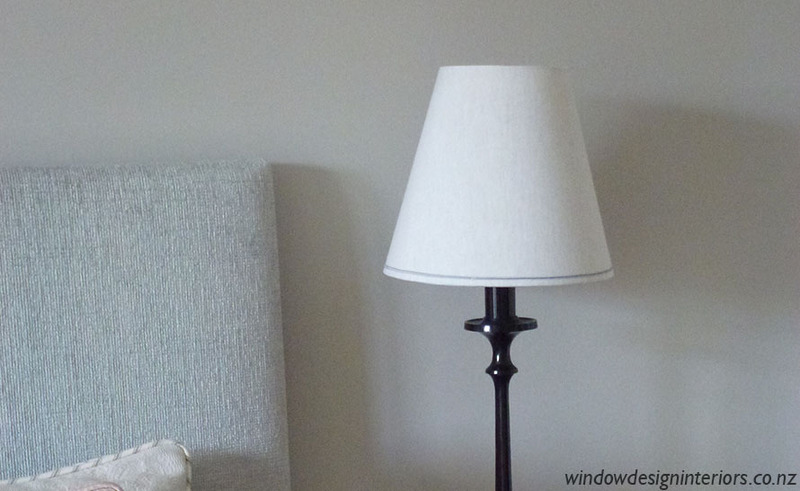 Diffusers can be fitted to the bottom of the shade to subdue the light and hide the bulb. Braids and trims can be added to achieve an extra bit of glamour. WDI consultants can guide you through the selection process and help fine tune all the possibilities. 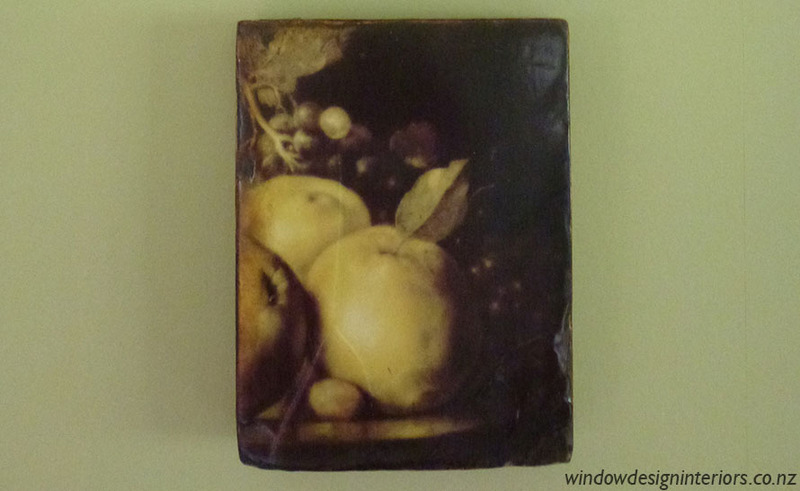 Renaissance drawings, faded love letters, antique playing cards – for artist Sid Dickens – there is magic in the past. 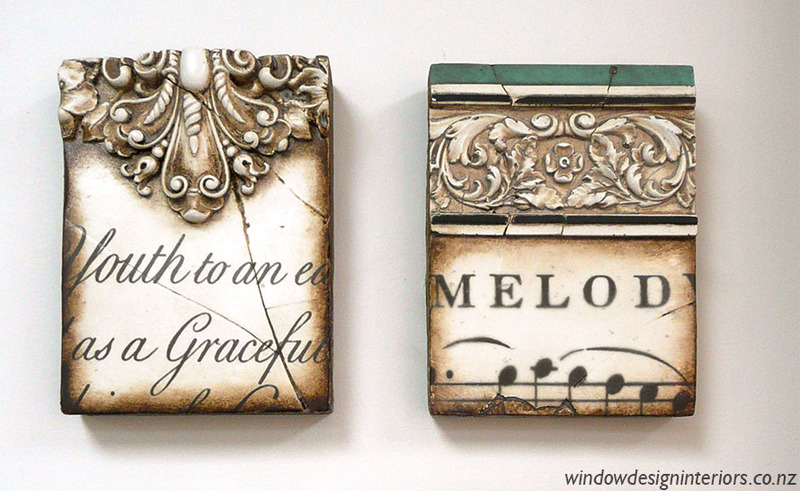 Sid Dickens brings these relics of the past to life in decorative memory blocks that have received international acclaim, and now decorate hotels, restaurants, retail stores and private homes around the world. 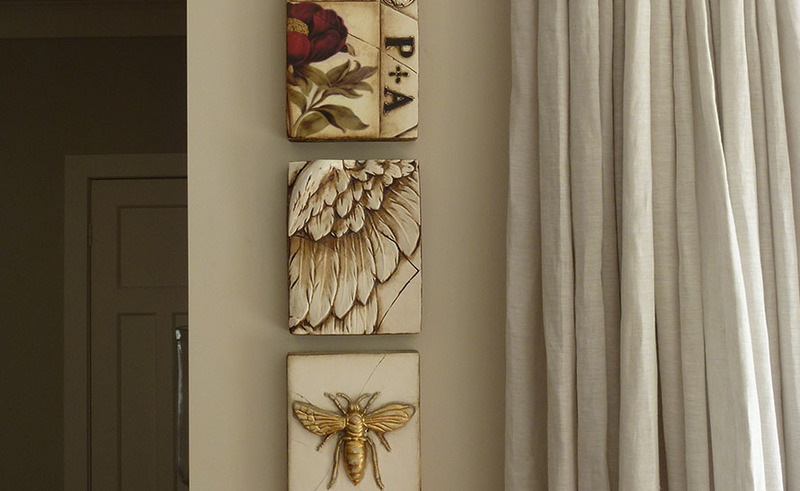 Some of the pieces are limited editions, and are valuable assets. 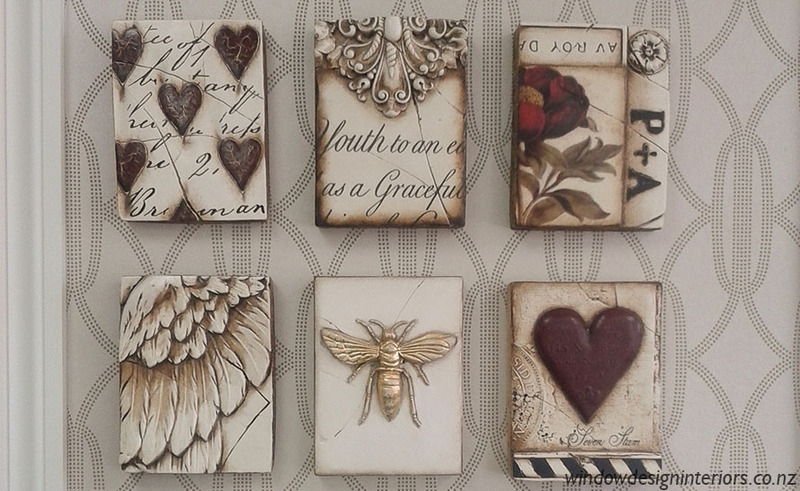 WDI have a selection of tiles on display and free brochures if you would rather select from the full range available.